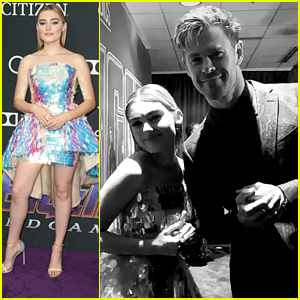 Anthony Gonzalez Photos, News, and Videos | Just Jared Jr.
Olivia Rodrigo goes for some glitz and glam in a chic black dress at the Chinese American Film Festival Opening Ceremony and Golden Angel Awards Ceremony held at The Ricardo Montalban Theatre on Tuesday night (October 30) in Hollywood. The 15-year-old Bizaardvark actress was joined at the event by Coco’s Anthony Gonzalez. Just after attending the event, Olivia shared a throwback Halloween photo of herself when she was younger, dressed as Cinderella. Jenna Ortega shows off her award after winning at the 2018 Imagen Awards held at JW Marriott Los Angeles at L.A. LIVE on Saturday (August 25) in Los Angeles. The 16-year-old actress picked up the honor for Best Young Actor for Stuck in the Middle, and was also there to celebrate Elena of Avalor‘s win for Best Children’s Programming. 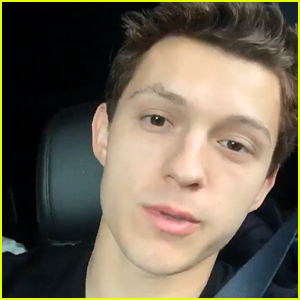 Francia Raisa, Amanda Mena, One Day at a Time‘s Isabella Gomez and Coco‘s Anthony Gonzalez were also seen at the event. 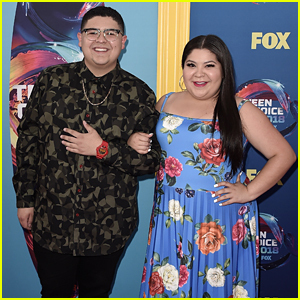 Raini Rodriguez walks arm-in-arm with younger brother Rico while arriving at the 2018 Teen Choice Awards held at The Forum on Sunday (August 12) in Inglewood, Calif. The two actor siblings hit the pink carpet for the annual show, attending with Sky Katz, JD McCrary, Elias Harger, Anthony Gonzalez, Xolo Mariduena and Hudson Yang. During the show, Fresh Off The Boat star Hudson hit the stage to present an award with Auli’i Cravalho – and it looks like they’re hinting that Coco was a winner! FYI: Sky wore a Latiste suit, Jeffrey Campbell loafers and Givenchy jewelry. Elias wore an Appaman suit and Topman shoes. Ally Brooke got the opportunity to meet Anthony Gonzalez, the voice behind Miguel in Coco, and her reaction was priceless! 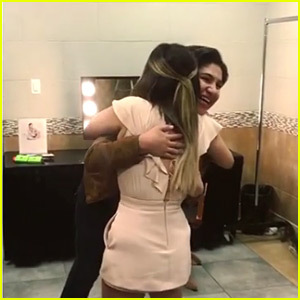 The former Fifth Harmony singer shared the meeting on her Instagram this afternoon and it was just so cute to watch. “Coco meant so much to me and my family! You definitely had me feeling ‘Un poco loco’,” Ally wrote of the meeting. Both Ally and Anthony were in Chicago to participate in WE Day. Coco, which won the Oscar for Best Animated Feature, is actually coming to Netflix next month. So keep your eyes opened for it! Coco's Anthony Gonzalez Dishes On His Love For Mariachi, Plus Listen to the 'Coco' Soundtrack! 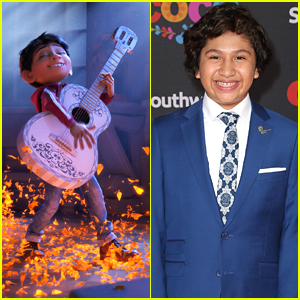 The star of Disney Pixar’s brand new movie, Coco, Anthony Gonzalez has A LOT in common with his character Miguel — the biggest thing being his love for music. In fact, when Anthony was only four-years-old he began singing with his family in the historic La Placita Olvera district in Los Angeles, and it was there his love for mariachi was born. Be sure to listen to Anthony sing on the Coco soundtrack below — and go see the movie, in theaters now!